INTERMATIC SS8 INDOOR DIGITAL WALL SWITCH TIMER CONTROLS LIGHTING FIXTURES -Sale & help comments reviews. Product Features: Conserves Energy, Manual Override, Individual programs give your house a lived in look, Optional random programming, Memory guard protects against power failure. New, open blister. 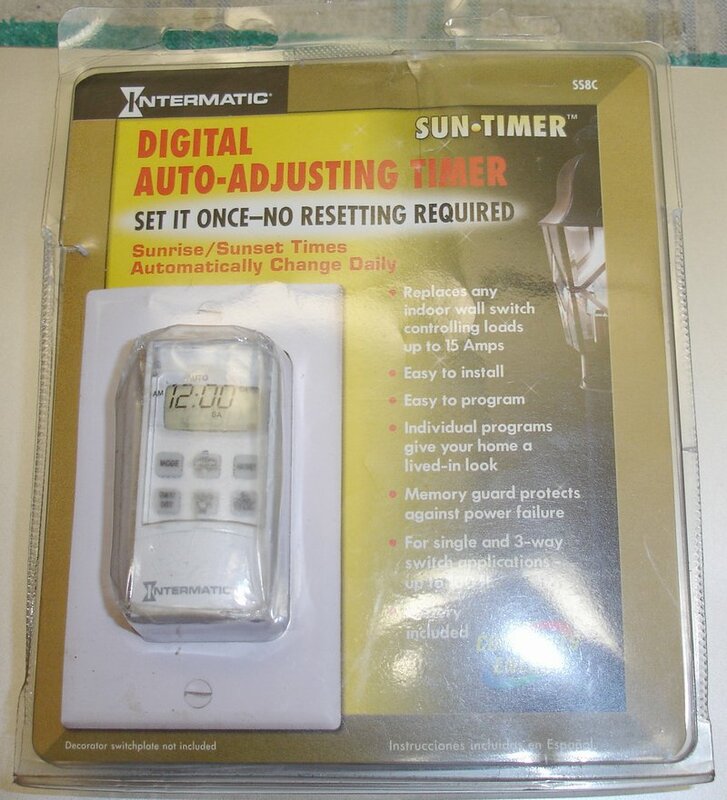 NOTICE: This Pre-Owned-Recycled intermatic ss8 indoor digital wall switch timer controls lighting fixtures was described to the best of our knowledge and it is offered as-is. If the field -Items in Stock- shows zero, the product is no longer available.